Fighter is the third single from Aguilera's album Stripped. 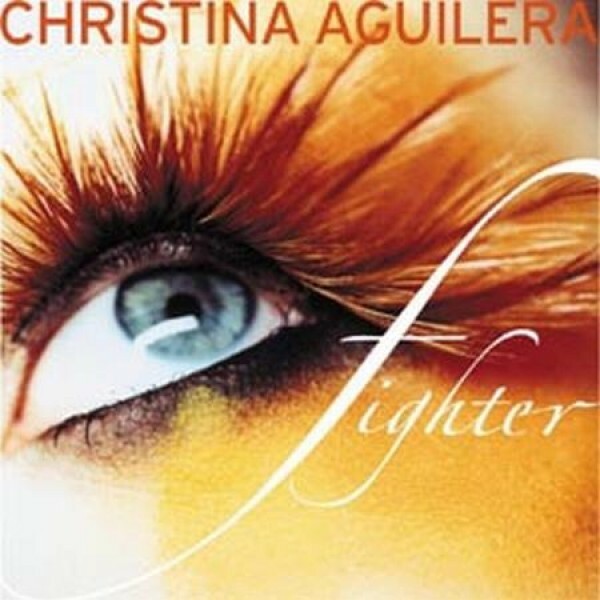 In it, Aguilera speaks to a person who has treated her poorly in a relationship, referencing everything from cheating and lying to possible physical abuse. The twist, however, is that rather feeling like a victim, this treatment has made her aware of how strong she is and that now that she sees how bad the relationship is, she is never going back. In the video, Aguilera begins dressed in black and trapped in a glass case; over the course of the video, she breaks free, removes pins that are restricting her movement, and finally turns her black robe into a cocoon from which she emerges light and free. Notes for Parents: This song has a strong message of empowerment, although the agressive tone and references to relationships (especially the negative ones) make it most suitable for girls 10 and up. That said, there is no profanity or overt sexual reference in the lyrics. Aguilera's wardrobe in the video is mildly provocative, but is more costumey than sexual.